Acquisition extends production of parts, machine repair and tooling for area businesses and consumers. ALTOONA, WIS. January 7, 2016 – On December 30, 2015, Senasys, Inc., a diversified manufacturer of switching and sensing solutions based in Altoona, acquired Cliff Industrial Corporation. 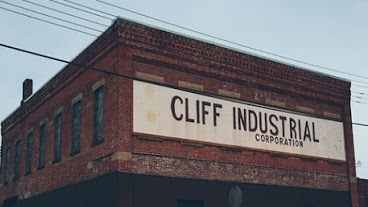 Currently, Cliff Industrial offers a broad range of products and services including mill and lathe work, welding, drill and blade sharpening, as well as cogs, pulleys, and various industrial components. The recent acquisition now allows us to expand our quality services to include EDM wire machining, small part stamping and swiss precision machined parts manufacturing. Senasys’ acquisition of Cliff Industrial advances its mission of providing regional businesses and consumers with quality parts and service. By merging Cliff Industrial’s current services with Senasys’ machine shop capabilities, Cliff Industrial will now be well positioned to deliver solutions to enterprises and consumers. 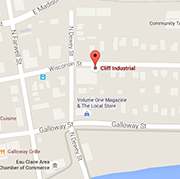 Cliff Industrial Corporation and its employees will continue operations in the downtown Eau Claire, Wisconsin facility. Senasys, Inc. was founded in 1999 in Freeport, Ill., by Wisconsin native Steve Dye and relocated to Altoona, Wis. in 2001.The business has expanded over the years to include product lines developed in-house as well as acquisitions of components previously produced by companies such as Honeywell and GE. Cliff Industrial has more than 35 years of experience building progressive dies, stamping and machining. The company has served the Northern Wisconsin since 1966. Their abilities and versatility have enabled them to accommodate many industries as well as work with a variety of metals from aluminum and brass to exotic metals like Inconel. ← Free Next Day Pick Up and Delivery!